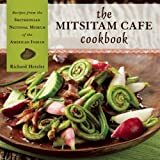 The Mitsitam Cafe Cookbook, published in association with the Smithsonian Institution’s National Museum of the American Indian, showcases the Americas’ indigenous foods in 90 easy-to-follow, home-tested recipes. Author and Mitsitam Cafe chef Richard Hetzler spent years researching Native American dishes and food practices for this stunning cookbook. Includes full-color images of the dishes and of objects from the museum’s collection. The kitchen of Richard Hetzler’s German American childhood home in Baltimore provided his earliest culinary inspiration. After working in restaurant kitchens in high school, Hetzler attended the Baltimore International Culinary College, graduating in 1995. He worked at several fine-dining restaurants in the Washington, DC/Baltimore area before joining the food-service firm Restaurant Associates, becoming the executive chef at the Smithsonian National Museum of Natural History. In 2003, he was on the team that researched and developed the groundbreaking concept for the National Museum of the American Indian’s Mitsitam Cafe: serving indigenous foods that are the staples of five Native culture areas in North and South America. As the executive chef of the Mitsitam, which has become one of the country’s most popular museum restaurants, he has continued to create and refine seasonal menus that showcase the truly native bounty of the Americas.